Within the framework of X Apartments Beirut, curated by Matthias Lilienthal, Twelve Roses was developed as series of site-specific performances for two audience members, with one of the visitors being asked to record an impromptu dating video with us. On five days we interviewed more than 100 participants and archived about 50 of those conversations. In the middle of the Armenian quarter Bourj Hammoud in Beirut we are invited into an older lady’s apartment, which mainly consists of two adjoining living rooms. One for daily use, featuring a television set and furnished practically, and another one for guests and special occasions, decorated sumptuously with rose patterns and décor. 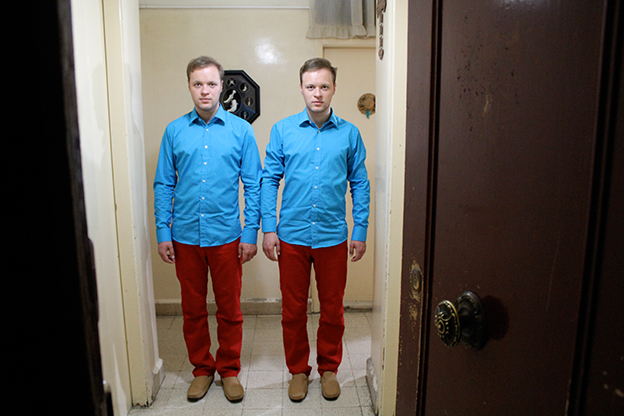 The visitors of the performance enter the apartment in pairs and are greeted in the hallway by a set of identical twins with the request to pick a partner for the performance amongst them. 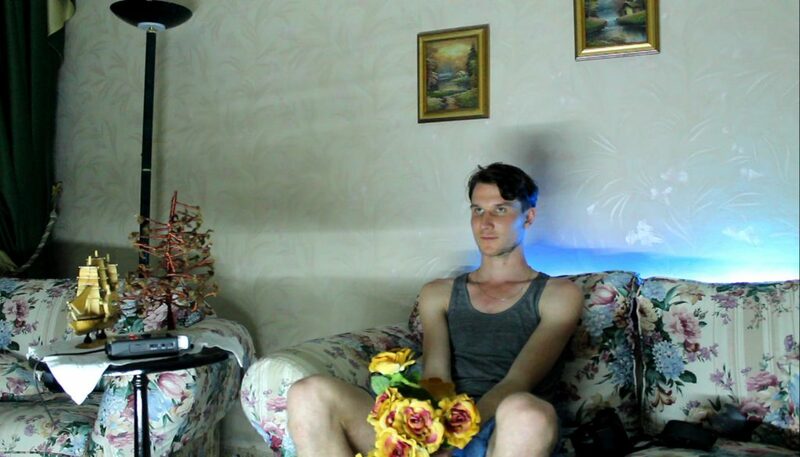 The visitor who has chosen the twin to his right is consequently led into the rose decorated room, whereas the other visitor follows the second twin into the TV room. In the rose decorated room the „Twelve Roses Dating Agency“ unexpectedly awaits: A camera and a microphone are installed, the visitor is handed a bouquet of fake roses and is asked by a female dating agent to take a seat on the sofa. She doesn’t waste any time: „Hello darling! And welcome to Twelve Roses Dating Agency. Please, take a seat, make yourself comfortable. I would like to get to know you a little bit better, so if you would answer my following questions as detailed as possible.“ Quite abruptly the visitor is faced with intimate questions about themselves, their positive and negative sides, about experiences in relationships and expectations in a partner, having 30 seconds to express themselves before the next question. After the interview they are led back into the hallway and reunited with the second visitor. Meanwhile, in the TV room, a parallel narrative has unfolded: Unbeknownst to the interviewee, the answers given in the rose decorated room were transmitted in real time to the TV set in the other room, however, intercut with prerecorded footage featuring the old lady who is the apartment’s actual resident. In the video she asks similar questions about the participants‘ personalities and intentions, albeit with a seemingly different agenda and more traditional values in mind: The interplay of the pre-recorded and live-footage suggests that a conversation is taking place in the other room, in which the first visitor is asking for the son our daughter of the house‘s hand in marriage. With recordings from the participatory performance TWELVE ROSES (dating agency) and additional staged material we created the video installation TWELVE ROSES (VIDEO ARCHIVE).